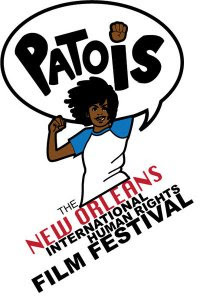 This year Patois once again brings an amazing line-up of Palestine related films and events to New Orleans. 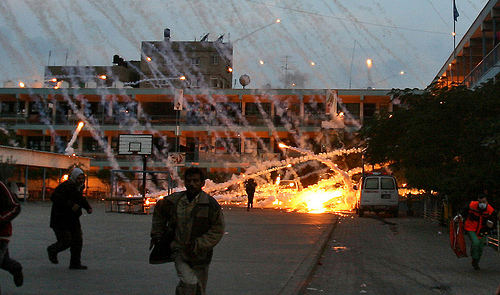 Below are specific Palestine related events and films. 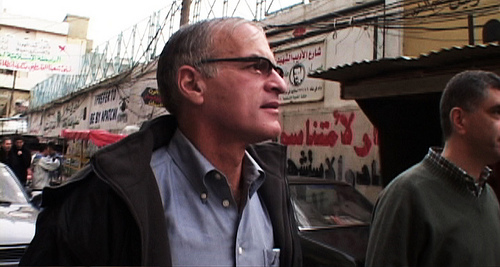 American Radical is the probing, definitive, documentary about American academic Norman Finkelstein. A devoted son of holocaust survivors, ardent critic of Israeli and US Middle East policy, and author of five provocative books, including The Holocaust Industry, Finkelstein has been steadfast at the center of many intractable controversies, including his recent denial of tenure at DePaul University. Called a lunatic and disgusting self-hating Jew by some, and an inspirational street-fighting revolutionary by others, Finkelstein is a deeply polarizing figure whose struggles arise from core questions about freedom, identity, and nationhood. The trailer launching the Boycott, Divestment, and Sanctions campaign against Apartheid Israel, from the campus of Carleton College in Ontario, Canada. By Students Against Israeli Apartheid (SAIA)-Carleton. Soraya, born in Brooklyn in a working class community of Palestinian refugees, discovers that her grandfather’s savings were frozen in a bank account in Jaffa when he was exiled in 1948. Stubborn, passionate and determined to reclaim what is hers, she fulfills her life-long dream of “returning” to Palestine. Slowly she is taken apart by the reality around her and is forced to confront her own internal anger. She meets Emad, a young Palestinian whose ambition, contrary to hers, is to leave forever. Tired of the constraints that dictate their lives, they know in order to be free, they must take things into their own hands, even if it’s illegal.